We also provide expert Move Out and Move In cleanings in Colorado Springs, Castle Rock, Parker, Highlands Ranch, Denver and all of the surrounding areas. For professional Move Out Cleaning services then please call us today! 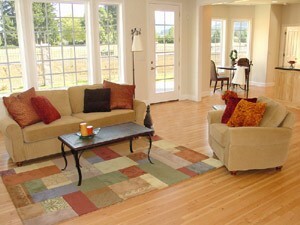 We are the local realtor’s first choice for Move Out Cleaning and Move In Cleaning services in the area . We can help you with your house cleaning, deep cleaning, spring cleaning, move-in house cleaning, move-out house cleaning, and any other house cleaning service you need. Let us take the stress out of your move by allowing us to take care of the cleaning for you, so that you can concentrate on all the other things you need to do when you are moving. Our employees are professionals that who know exactly what needs to be done to get your home looking and smelling great. Call us today for a free estimate! Did you know that we also offer Packing and Unpacking services? National moving companies often hire us to help their clients who move to the area unpack their belongings. We can also help you pack or unpack, so please call us today to discuss your needs… we are always happy to help! What do we typically do in a move out or move in cleaning? Below you will find a typical checklist of what is normally required in a move out or move in cleaning. We tailor each service to your specific needs so that we do only the things you require in order to keep our rates reasonable. Please call our office to discuss your needs and we can work out a specific estimate for you. Typically the move out and move in cleaning service would include all of the obvious things done in a routine cleaning, as well as cleaning the baseboards, oven if requested, stove top, refrigerator if requested, ceiling fans, window sills and cabinets and drawers inside and out. We provide all the necessary cleaning supplies, so pack everything away, including your vacuum .. we will bring everything we need. Below is a list of services which can be provided with our move in / move out cleaning service. Affordable House Cleaning Service provides expert move in and move out cleaning services as well as cleaning services to prepare a home for sale, spring cleaning or deep cleaning, remodel cleanings etc. We are your local real estate company’s first choice for move out cleaning services and prep for sale cleaning services.